This month labelpartners.com has passed the magic 10,000 web customers margin. Many thanks to all of you for your business! Have a wonderful and successful year 2018! From today, our fully redesigned website is online. Besides a completely new design concept, the new site is now fully responsive and adapts itself to the device you're using. This will now enable our customers to configure and order all our products online from any computer, iPad, tablet PC and, of course, from an iPhone or any other smartphone. 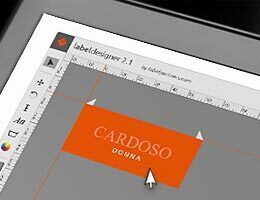 Along with the website redesign we have also launched the brand new version 2.1 of our app "labeldesigner". The app leans on Adobe's known graphic software "Illustrator" and is now offering the online-designing of any label or patch in WYSIWIG mode. This means that, while you're designing it online, you will see the label or patch at its real dimensions on any screen or display. Click here to check out the new version. We finally managed to match all our HD weaving yarn colours with Pantone colours, so from today all 475 colours of the HD weaving yarn range can be chosen at the configuration of any woven product. 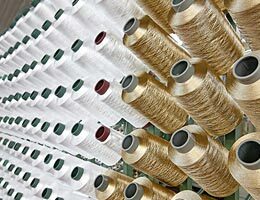 The newly matched colours have also already been integrated in the weaving colours chart with large swatches. Laser-engraved labels are something very particular and quite hard to explain, not to speak about configuring them online. From today it's possible anyway.